Have You Been Arrested For Drunk Driving In Los Angeles? California state laws have made drunk driving punishable by severe penalties and consequences. A DUI conviction can have a serious impact on your life — with sentences that include large fines, jail time, probation and the loss of driving privileges. Therefore, if you have been arrested for DUI, contact Takakjian & Sitkoff, LLP immediately to ensure your future is protected. Founded in 1987, our firm advocates for your rights in criminal court and Department of Motor Vehicles proceedings. Usually, a DUI arrest can lead to two charges. The first charge of California Vehicle Code 23152(a), which is driving while under the influence of alcohol and/or drugs, can result in a police officer arresting you if he suspects you to be operating a motor vehicle while under the influence of prescription drugs, a controlled substance, or a blood alcohol concentration (BAC) of 0.05 percent or higher. BAC levels are determined by either a breathalyzer or blood test. The second charge is under California Vehicle Code 23152(b), which is driving with a BAC level of 0.08 percent or higher. Therefore, if your breathalyzer test yields a 0.09 BAC level, you would be charged with both counts. Blood alcohol content (BAC) is one of the most important aspects of a DUI case. BAC refers to the amount of alcohol you have in your system at the time the measurement is taken and is considered a primary indicator of intoxication. Preliminary BAC test results captured on preliminary alcohol screening or PAS devices help officers establish probable cause for a DUI arrest and are collected at the scene, usually before an arrest is even made. Although police officers are required to advise drunk driving suspects that the PAS test is optional, many fail to do so and often inappropriately apply the implied consent law to this pre-arrest screening. Law enforcement has several different ways of testing BAC — including breath, blood and urine analyses. If an officer determines that you were operating a motor vehicle with a BAC of 0.08 percent or higher, you would be arrested for drunk driving. Zero tolerance is applied to drivers under the age of 21, which makes it unlawful for any person under the legal drinking age to drive with any measurable amount of alcohol in their system. Therefore, persons under the age of 21 with a BAC as low as 0.01 percent would be charged with a zero tolerance DUI under California Vehicle Code section 23136. Commercial drivers are considered impaired at a BAC of 0.04 percent if they were driving a commercial vehicle at the time of the arrest. California Vehicle Code §23152(b) states that it is unlawful to drive with a blood alcohol concentration of 0.08 percent or higher. The statute permits the prosecution to presume you were driving at the BAC indicated by a chemical test administered within three hours from when you were operating the vehicle. You may face a harsher sentence if there were aggravating circumstances in your case such as a BAC of 0.15 or greater, a traffic collision, or speeding enhancement. Similarly, a first DUI with an accident that caused injury would result in increased punishment and depending on the seriousness of the injury caused, could result in a felony filing, even on a first offense. Whether this is your first, second or third DUI offense, the prosecution must still rely on a foundation of evidence to prove their case. For that reason, our defense strategy begins with a thorough investigation into the circumstances surrounding the initial contact with police and. Because we want our clients to have as much support and information as possible, our firm has created this website as a tool to help you. Below, we summarize some of the different DUI topics we discuss on this site. Charged with DUI, but not guilty? All too often, people throughout Southern California find themselves criminally charged with drunk driving, even if they had not had a drop of alcohol to drink or had properly taken medication as prescribed by their physician. DUI field sobriety and chemical testing can be faulty and also does not take into consideration the numerous extenuating circumstances that could cause failure — such as medical conditions like ADHD, diabetes, vertigo, tremors, and asthma. If you face a wrongful DUI charge, let our firm set the record straight. Arrested? It may seem hopeless, but it is important to remember that a criminal arrest is not the same thing as a criminal conviction. Our firm considers a variety of effective DUI defense strategies for our clients, depending on the specific facts of their cases. We prepare our defenses from the ground up beginning with an investigation into whether our client was the target of an unlawful police stop, as well as issuing subpoenas for all radio/communication logs and all video and audio footage in connection with the arrest. Throughout your case, you can trust that if a weakness exists in the prosecution’s case, we will find it. There is nothing more frightening than being arrested. What do you do? Whom do you trust? Our firm answers these questions for you in a no-pressure environment. We recognize that this is a stressful time for you and the last thing you need is a lawyer pressuring you to hire him or her before you are ready. Our consultations focus on the fact of your case, not a sales pitch. If you have been arrested for drunk driving and are looking for someone to give you the guidance you seek, do not hesitate to call us. We have more than 70 years of combined DUI trial experience and will patiently explain what your next steps should be, what your options are, and all of the possible outcomes. It is important to know the consequences of a DUI conviction. Possible DUI sentences include imprisonment, fines, license suspension, community service/labor, and mandatory completion of a drug/alcohol education program. Additionally, mandatory installation of an ignition interlock device (IID) in your car could result from a DUI conviction depending on which county you were arrested in or whether you were driving on a suspended license from a previous DUI conviction. Penalties for DUI’s can also be enhanced if a person has a prior record of DUI within the last 10 years. Your arrest for drunk driving involves two separate matters — one with criminal court and the other with DMV. Criminal case proceedings determine your guilt or innocence. California Department of Motor Vehicles Admin. Per Se (APS) proceedings deal solely with your privilege to drive. The DMV hearing focuses on the procedural aspects of your arrest and collection of the breath or chemical evidence against you. Since the DMV action is independent from court, you could be ordered to serve a license suspension even without a DUI conviction. You have only 10 calendar days from the date of your arrest to notify DMV of your intent to contest the suspension. An automatic suspension is invoked unless you request and schedule a DMV hearing. The request for the hearing will also “stay” or delay the license suspension pending the outcome of your hearing. Our experienced DUI attorneys utilize their decades of DUI defense experience to identify and raise procedural issues or mistakes made by arresting officers in order to prevent a suspension or revocation of your license. The penalties for boating under the influence (BUI) are similar to a DUI with the exception of a possible DMV suspension. Defending a BUI is also similar to defending a DUI. Law enforcement still must have probable cause to stop and board a vessel to initiate a BUI investigation. In addition, breath/chemical evidence collection and testing must still comply with Title 17. Furthermore, field sobriety testing (FST) is even more unreliable due to the environmental conditions suspects are ordered to perform the testing in. The most accurate form of BAC testing involves the actual drawing of blood. Although reliable, this is not a flawless form of testing. There are many different circumstances that can cause faulty or inaccurate results. Blood tests cannot be performed at the scene of an arrest and therefore, suspects must be transported to either a hospital or police station if a nurse is on staff in order for blood to be drawn. The delay between the time of driving and when the blood was drawn can sometimes benefit the defense. Even something as simple as sterilizing the draw spot with an alcohol-based product can cause the reading to be completely false and would also be a direct violation of Title 17. After a blood specimen is collected, a preservative must be added and the specimen is to be stored immediately. With so many procedural requirements in place, it is not uncommon for law enforcement or crime labs to make mistakes. In every DUI case we handle involving blood evidence, we examine and scrutinize the collection of the specimen, as well as the chain of custody. Most importantly, we subpoena split samples of the blood evidence for independent testing by our forensic toxicology expert. While considered as less accurate than blood tests, breath tests are often used to capture BAC evidence against DUI suspects. It is often the BAC test of choice for law enforcement because results are instantaneous and since the officer can administer the breathalyzer instrument him or herself without the aid of a nurse or technician, booking and processing of a DUI suspect can take significantly less time. Much like with blood tests, there are procedures that must be followed in order to preserve the integrity of breathalyzer reading. We attack the reliability of breath evidence beginning with an investigation into the maintenance and calibration records of the breath device, as well as the use logs of the device. We continue our defense against the breath evidence by cross-examining the arresting officer about whether proper procedures were followed such as whether our client was observed continuously for 15 minutes prior to the administration of the breath test. Field sobriety testing is unreliable due to the fact that there is no baseline for the police officer to compare his/her results with. Factors such as preexisting medical conditions such as a previous physical injury or even ADHD can negatively influence performance of these tests. Furthermore, environmental factors such as poor lighting or sloped surface can influence FST results. Our firm challenges the FST evidence by investigating the scene where the tests were performed and thoroughly examining our clients’ medical history to identify possible medical conditions that can be used explain their poor performance on the tests. California laws impose harsh punishments for DUI convictions, even on first offenses. Drivers under the age of 21 y/o could be charged with a BAC of 0.01 or above, while commercial drivers with a BAC of 0.04 could be charged if he or she was driving a commercial vehicle at the time of arrest. All other drivers face criminal prosecution if suspected of driving a vehicle with a BAC level of 0.05, 0.08, and/or while under the influence of a controlled substance or prescription drugs. 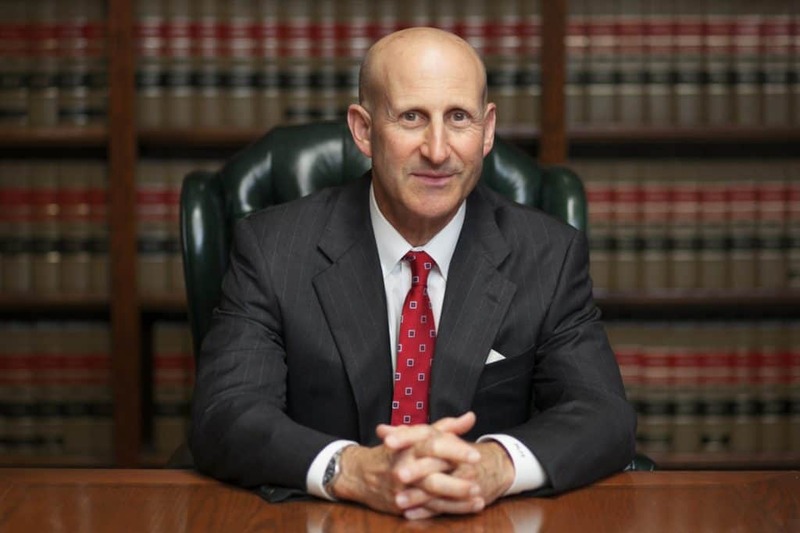 Often, people choose not to retain an expert DUI attorney for a variety of reasons. The most common explanation is the belief they can get the same quality defense from a public defender or a discount lawyer. While there are many public defenders who are excellent legal advocates, the criminal justice system does not allow people to choose which one represents them. By hiring a private attorney, you are able to choose the person tasked with protecting and representing your interests. Furthermore, a public defender will not represent you in your DMV hearing. With backgrounds in prosecution, law enforcement and specialist certification in criminal law, we help you through the DUI process. 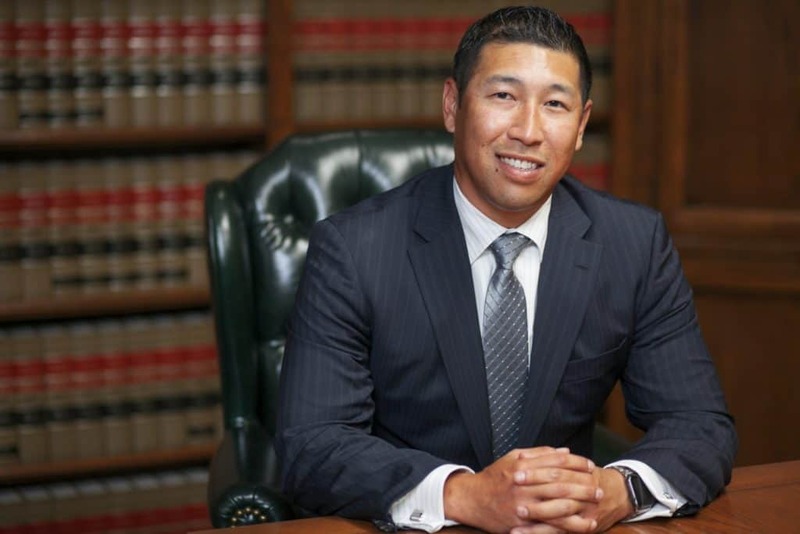 We are proud of our impressive record in successfully defending clients against DUI charges. If you choose to retain our firm, you will have the peace of mind in knowing that your case has been placed into completely capable and reliable hands. For more information on defending yourself against a DUI charge, call us at now (888) 579­-4844 for a free consultation to discuss your case and options at our main office in West Los Angeles, or our satellite office locations in Torrance, Pasadena, Glendale, Long Beach, Encino, Woodland Hills, West Covina, Oxnard, Westlake Village, Huntington Beach, and Newport Beach.